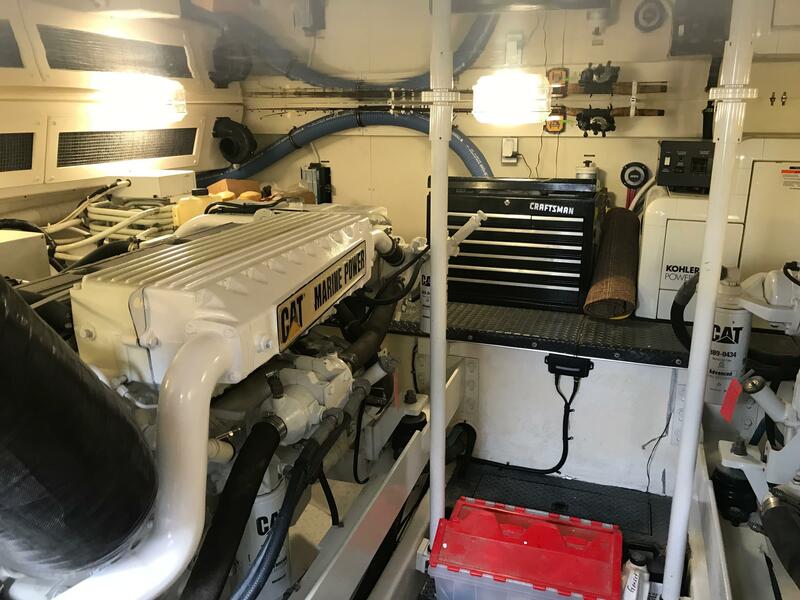 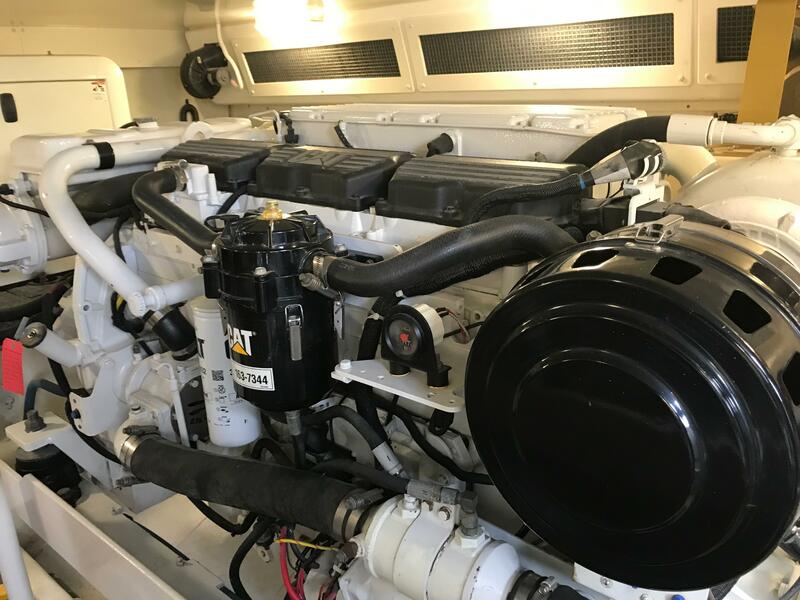 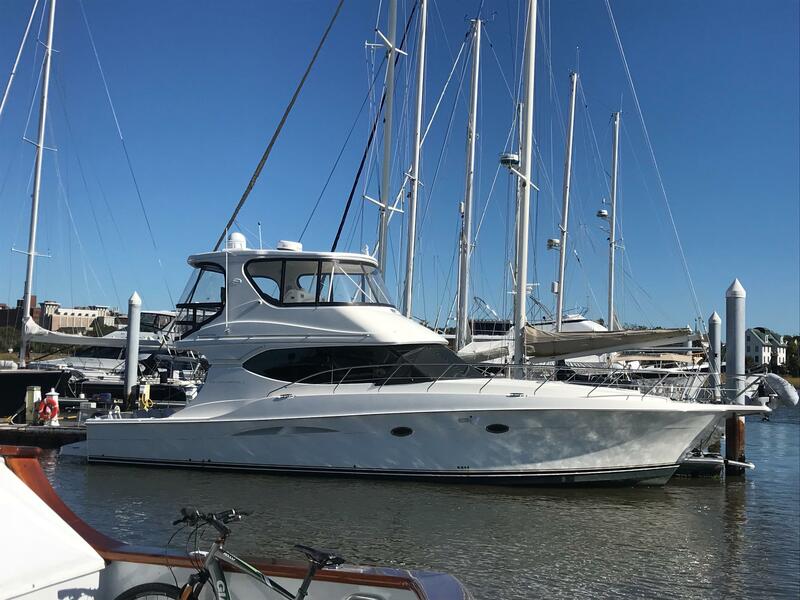 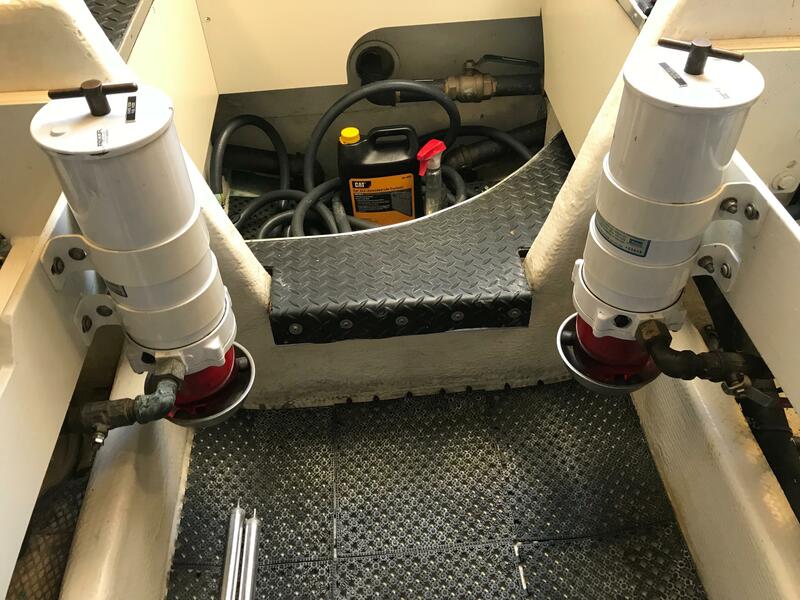 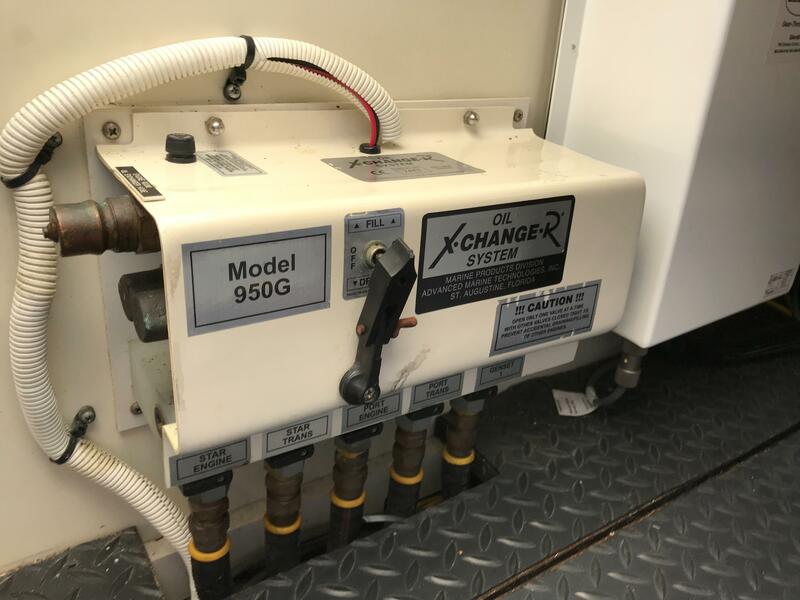 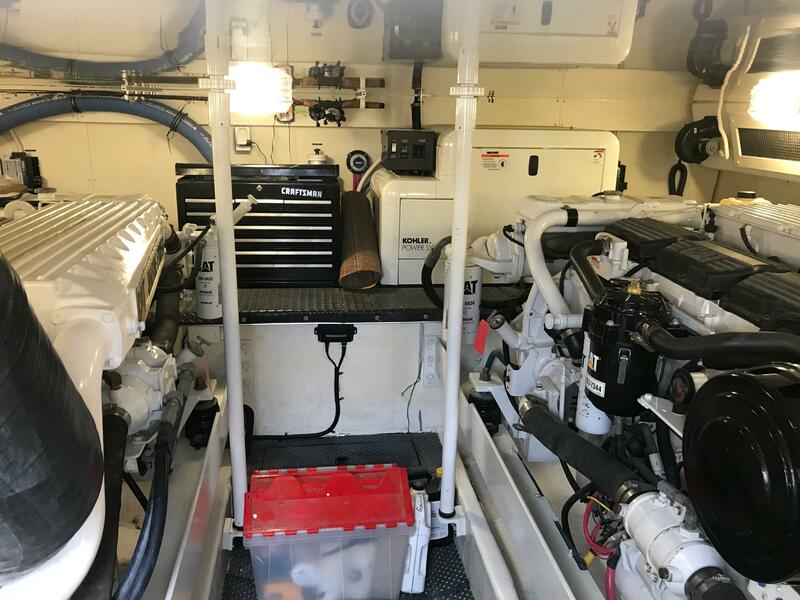 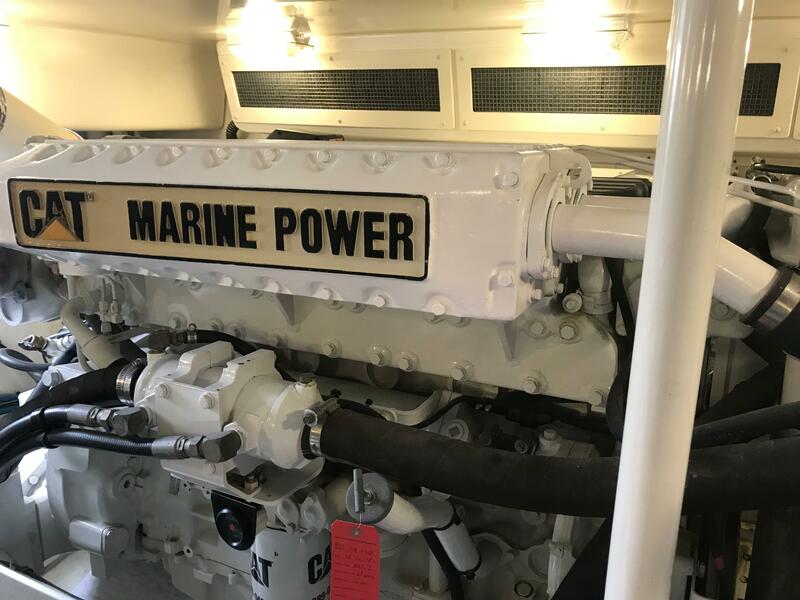 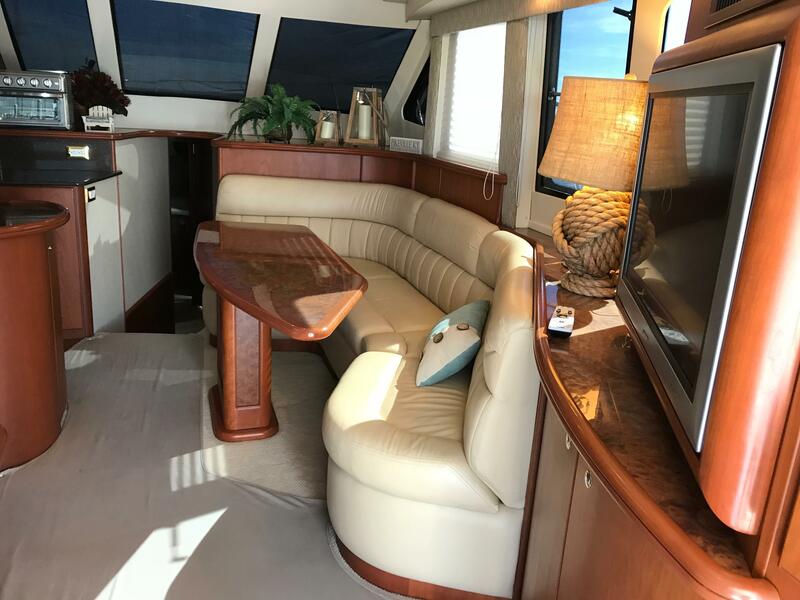 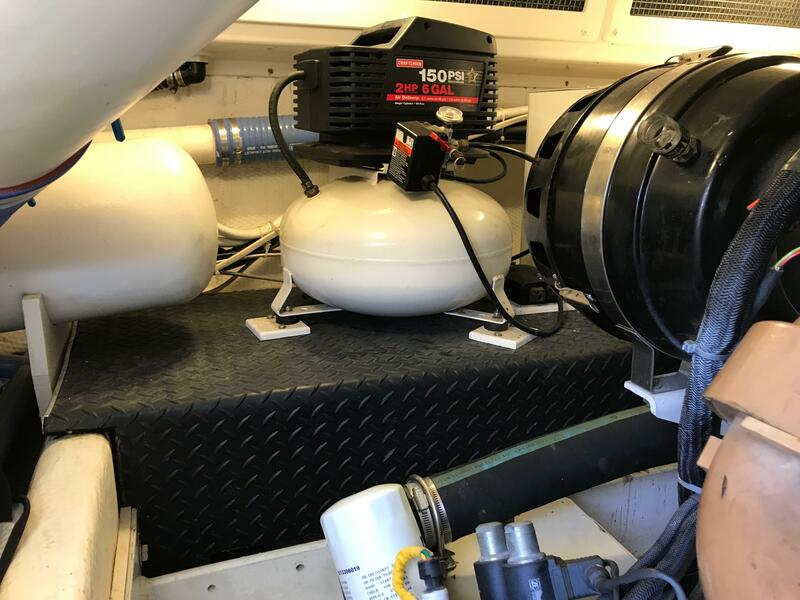 If you are that discriminating Yachtsman that will only settle for a boat in near perfect condition with lots of upgrades then this one is a must see. 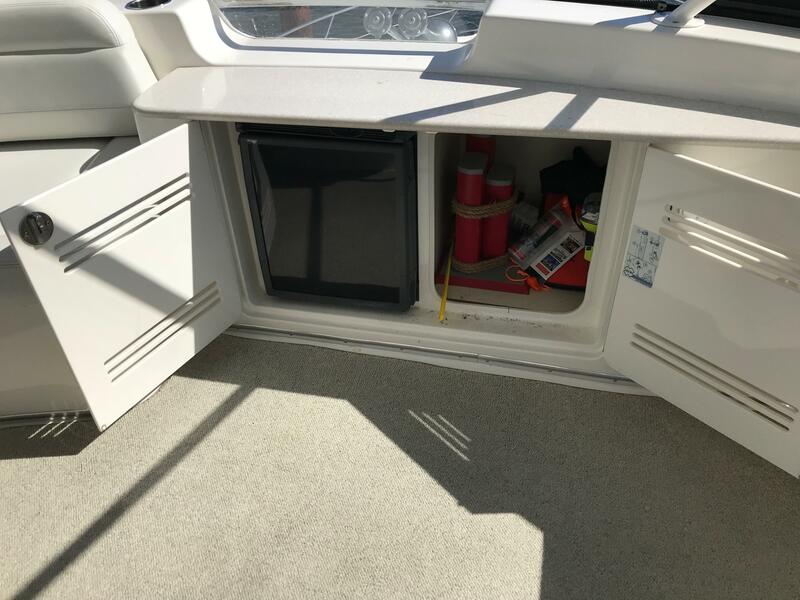 The boat has been professionally maintained with an open checkbook and is in "turn key" condition. 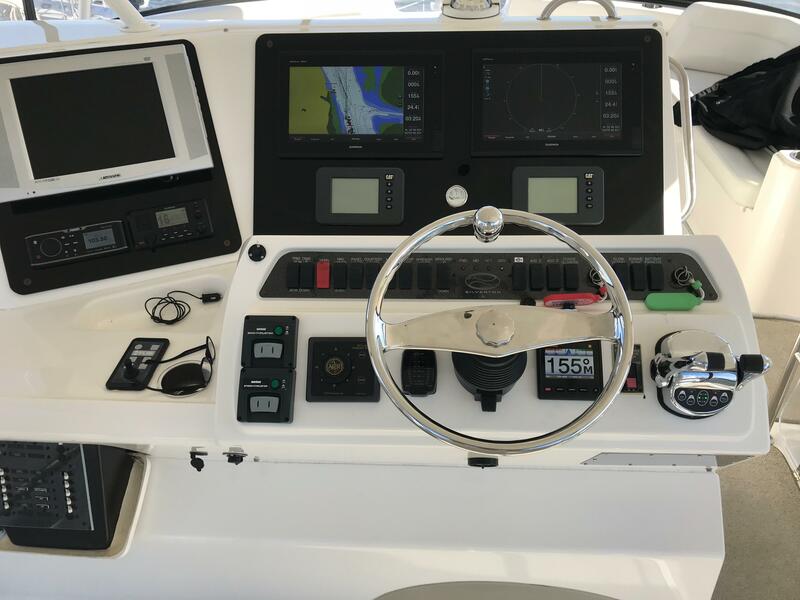 It has always been a "cruiser" and not a "fisher". 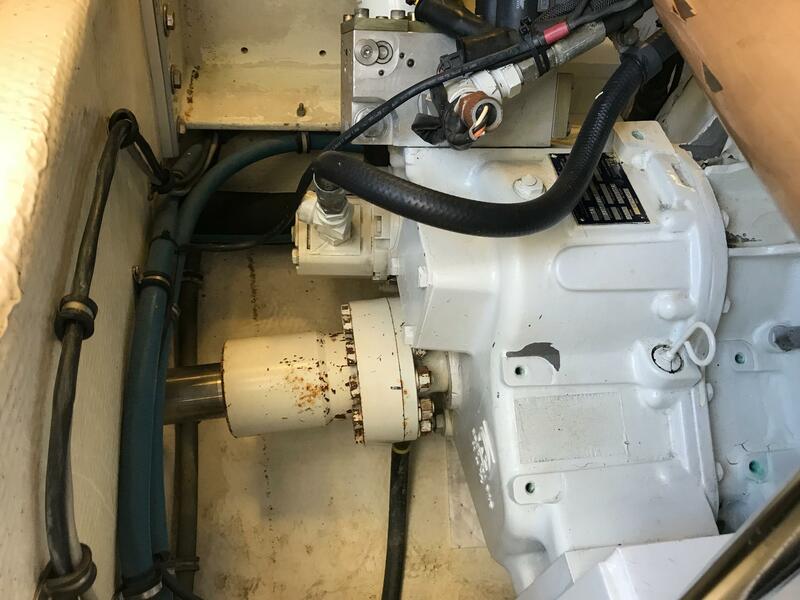 All engine maintenance has been completed and the bottom has fresh bottom paint. 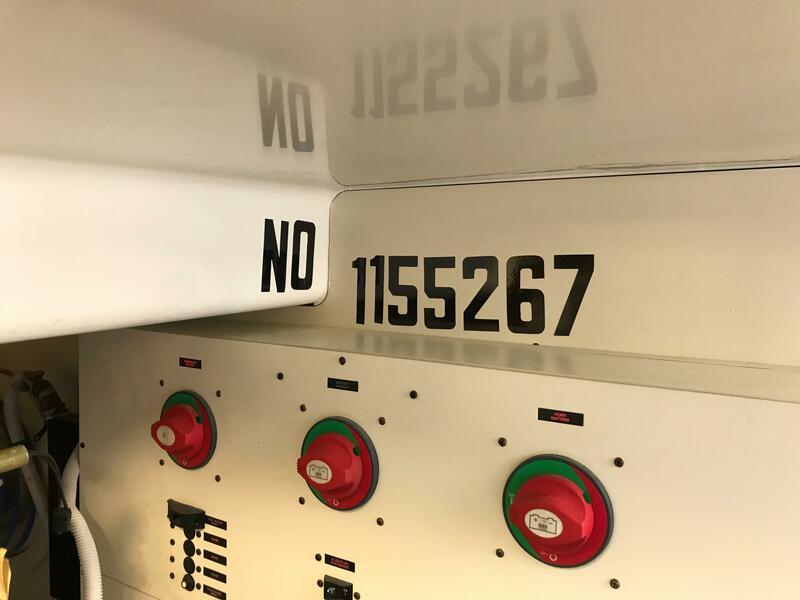 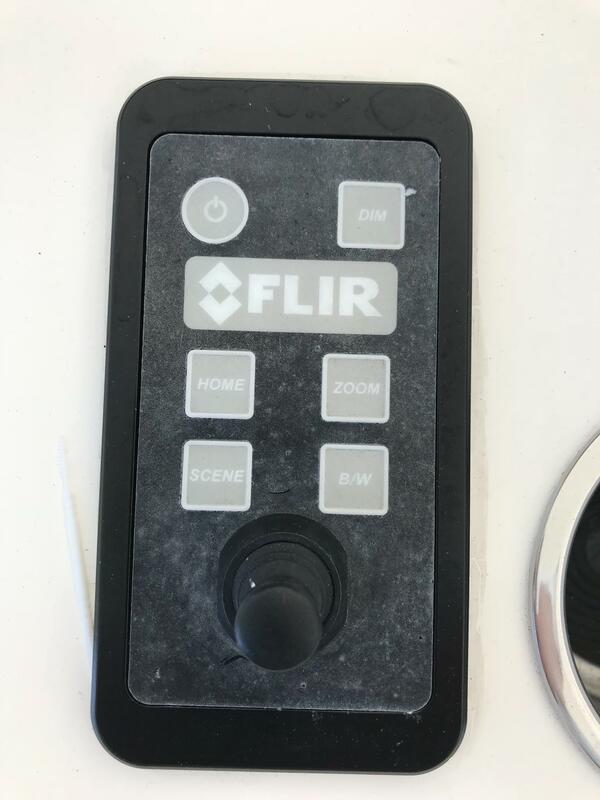 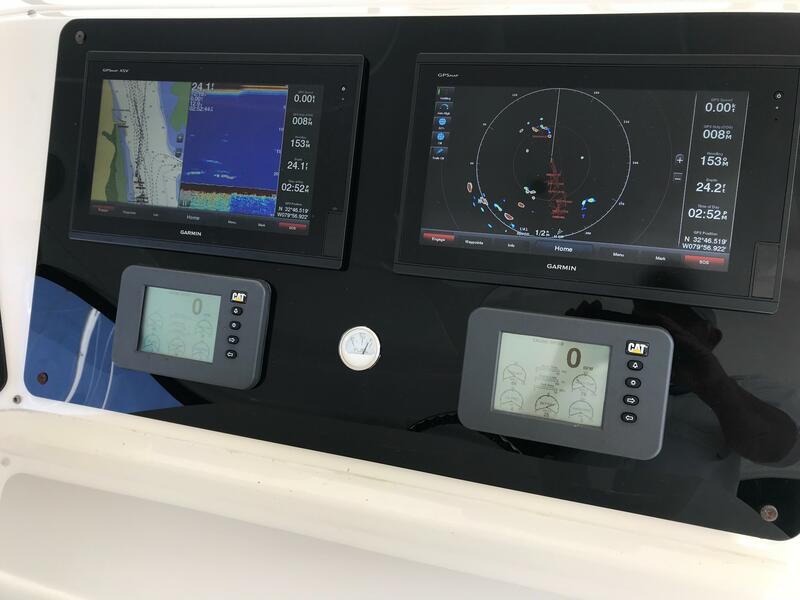 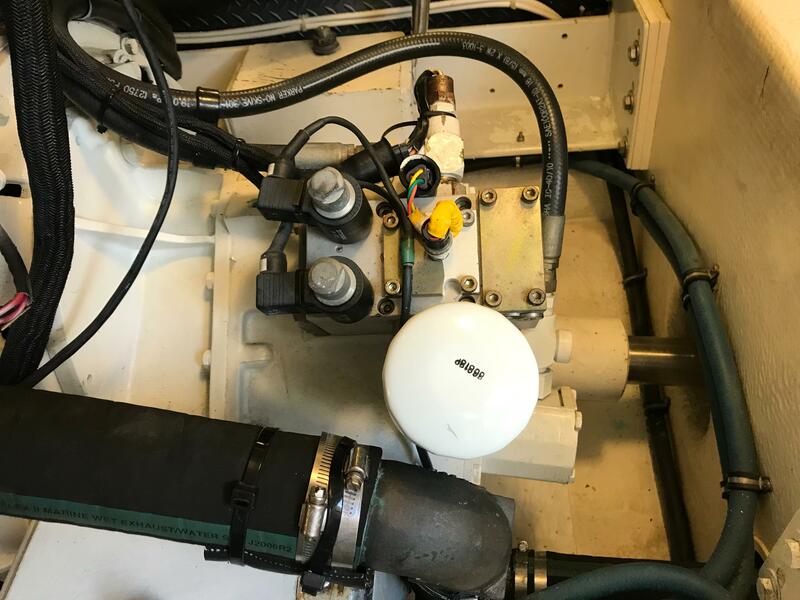 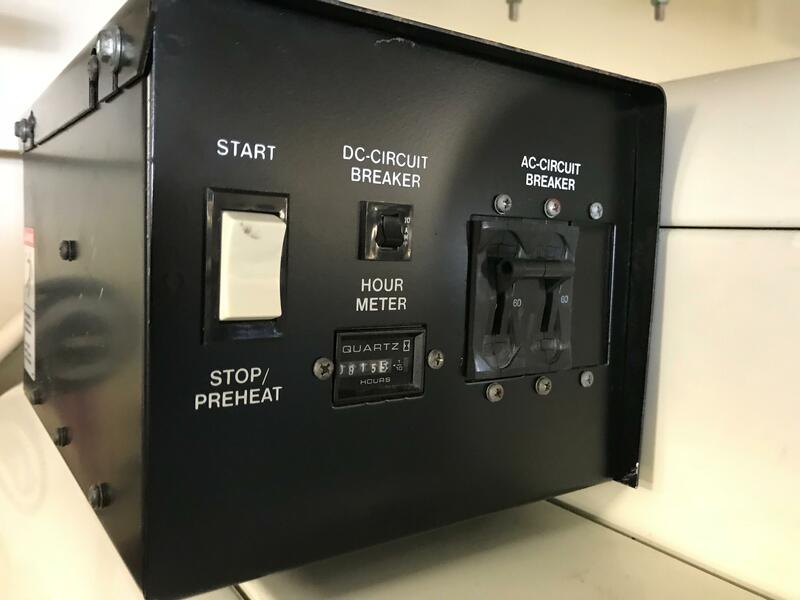 Electronics have also been updated in the past 12 months plus it has been upgraded with Yacht Controller for remote control docking. 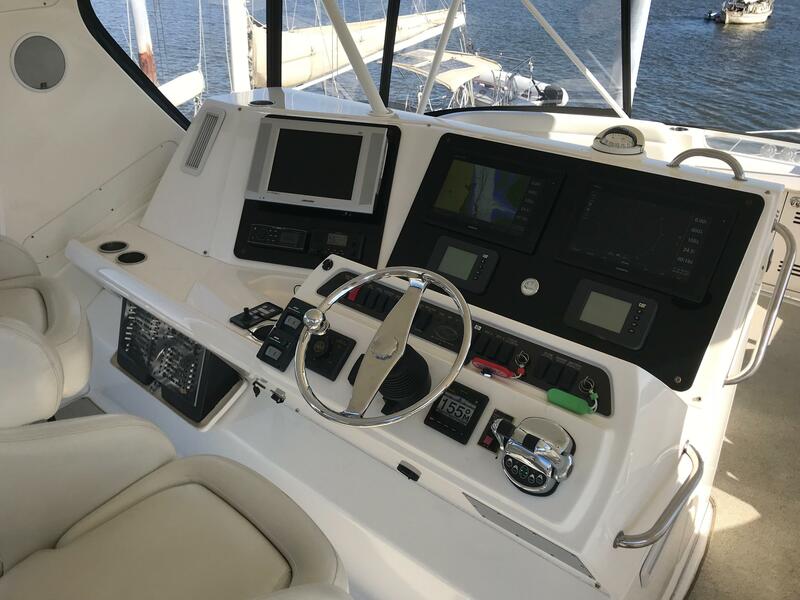 See Full Specs for a complete list of features. 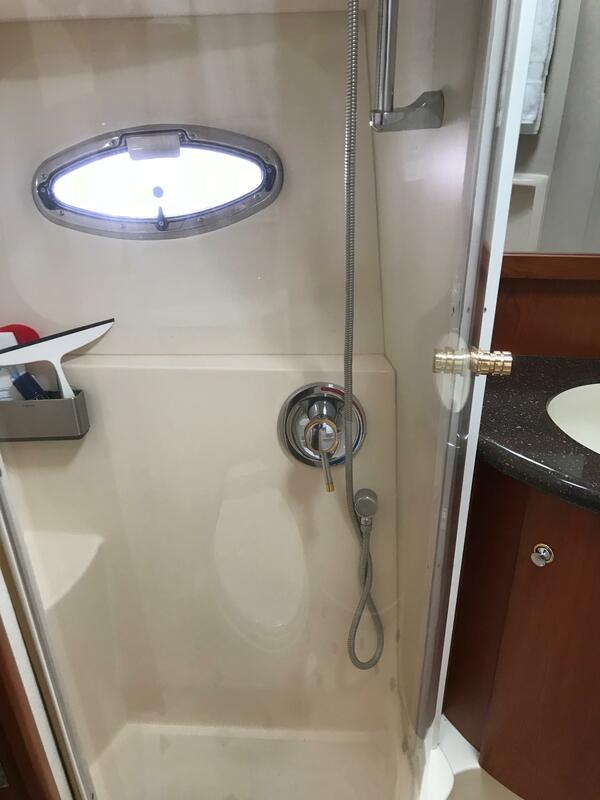 Call today to schedule a time to see this Pristine Vessel. 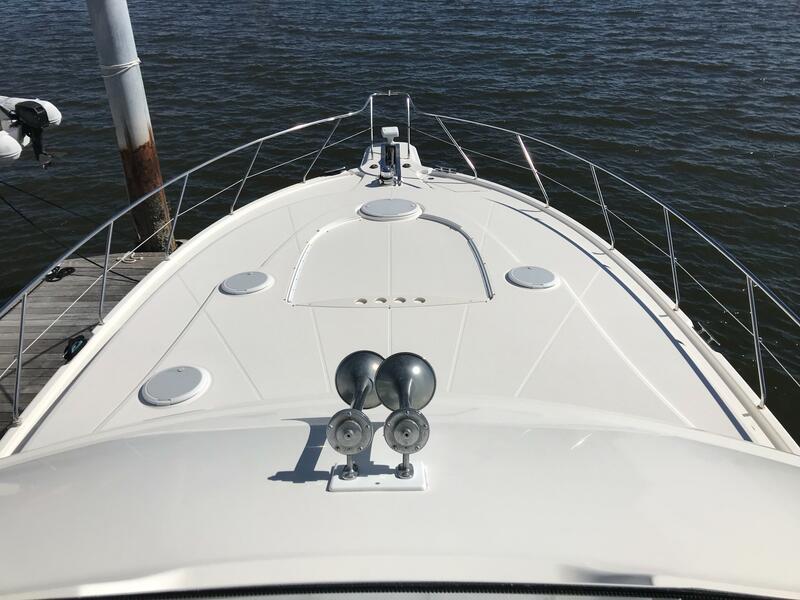 The Silverton 48 Convertible hull lines, drawn by Donald Blount & Associates, have been designed to handle the rigors of the Atlantic Ocean, in which Silverton water-tests their boats. 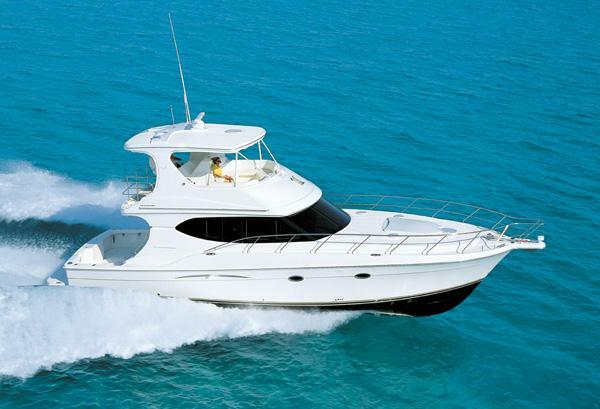 With a sharp entry and wide beam, the 48 will perform safely and comfortably in most sea conditions. 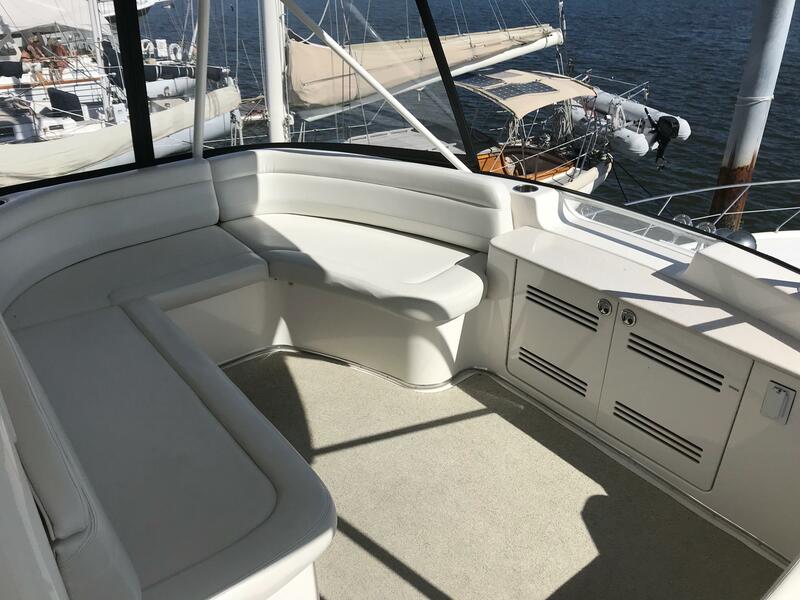 Modern styling combines with safety and utility topsides. 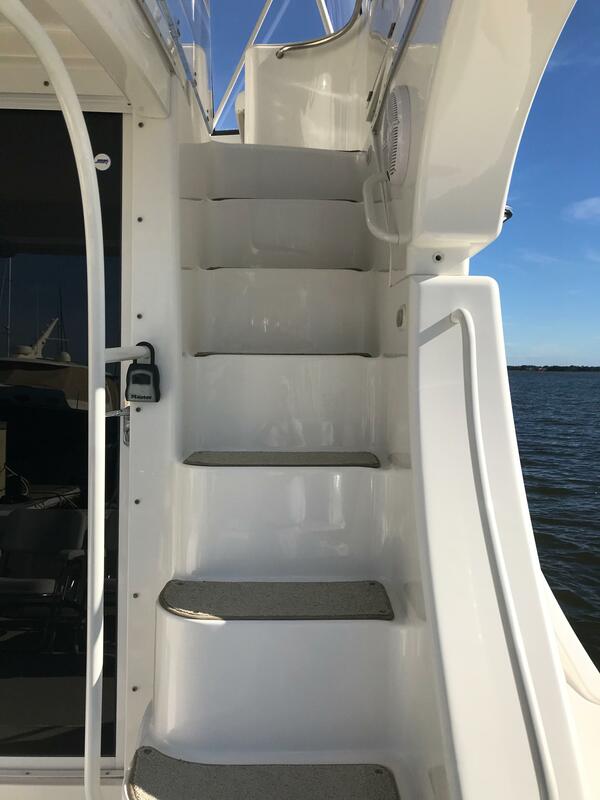 A wide, molded stairway leads from the expansive cockpit to the command bridge, making access safe and easy, even in a seaway. 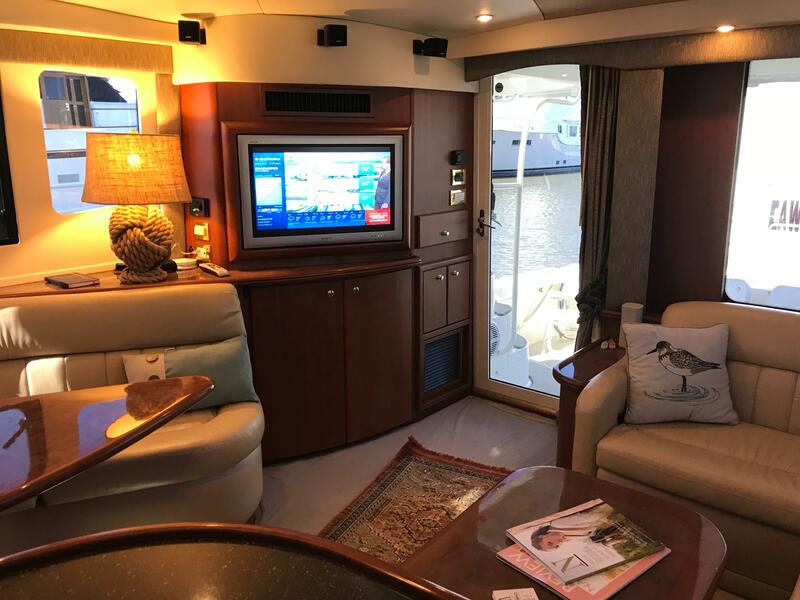 Visibility is excellent at all points from the helm and there is plenty of comfortable seating for the mate and guest on the bridge. 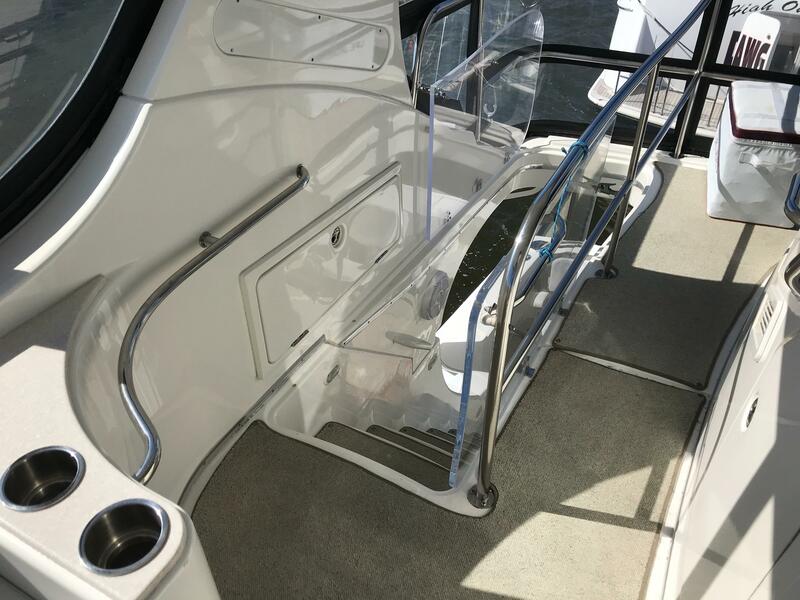 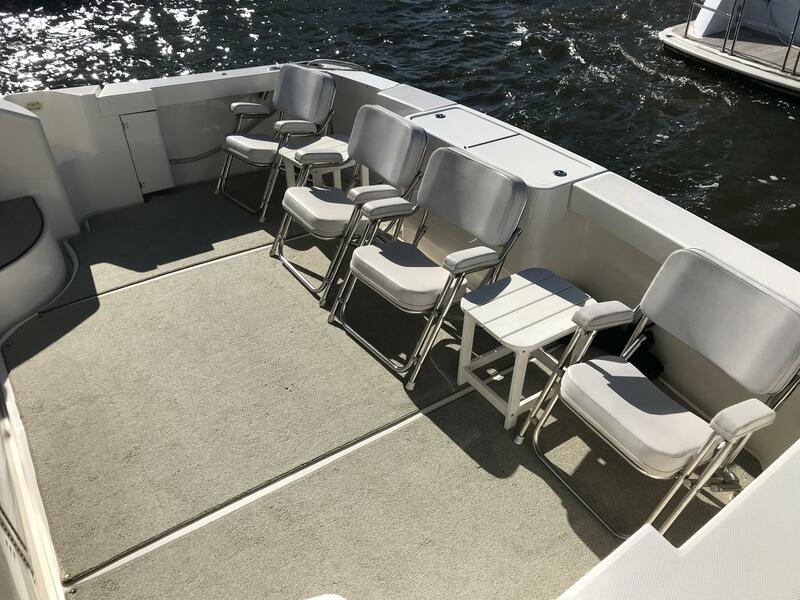 Wide side decks and open foredeck have molded diamond non-skid for sure footing and an oversize stainless steel bow rail adds to the security. 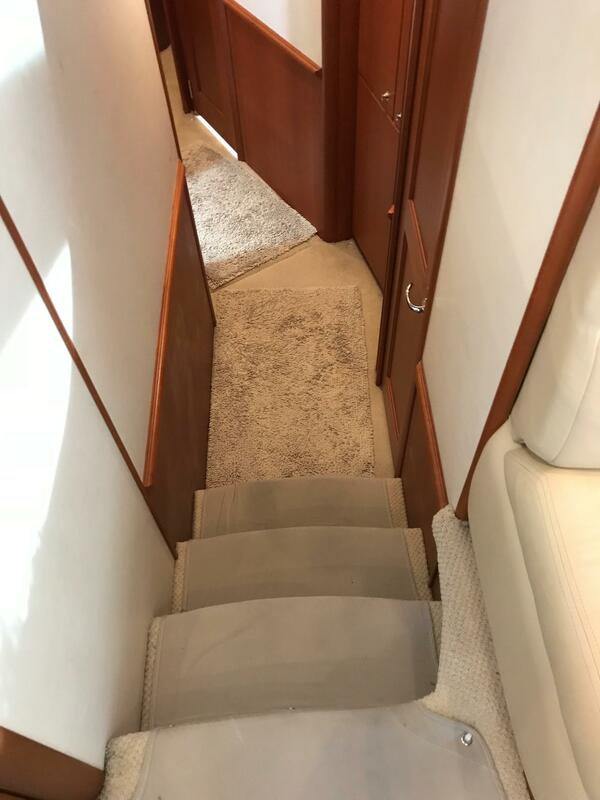 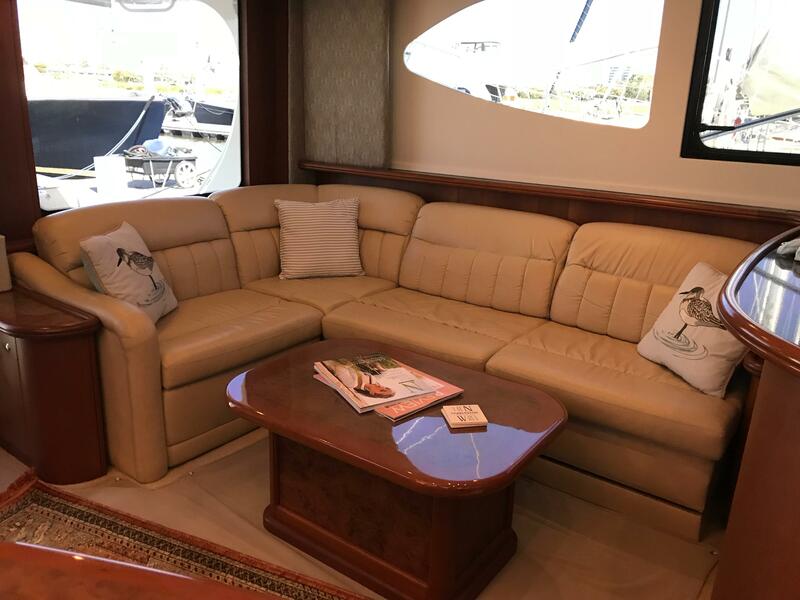 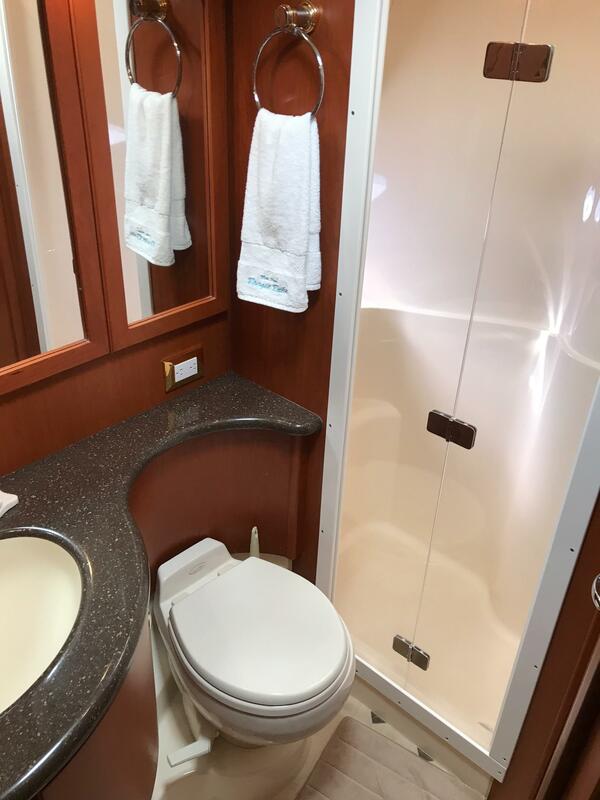 Offering three staterooms and two heads along with an entertainment-sized salon and full service galley, the 48 will take comfort aboard to a higher level. 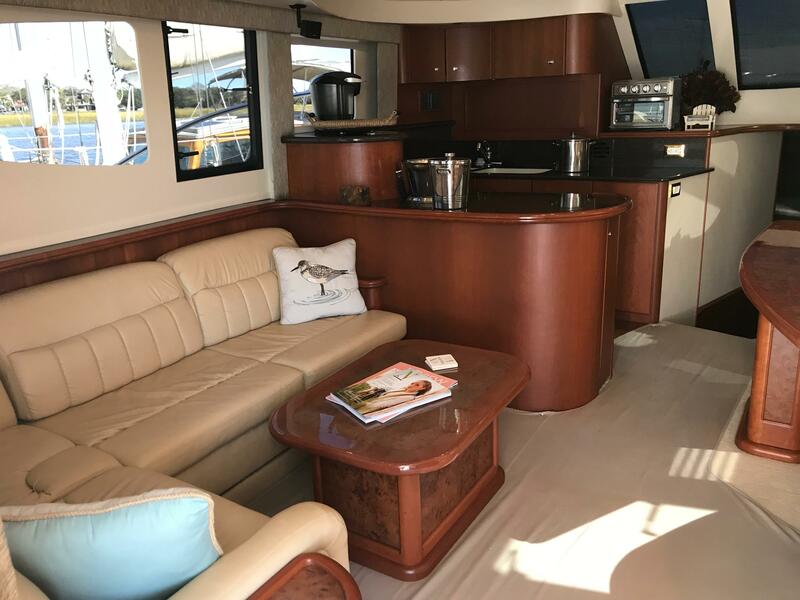 Standard equipment includes a custom hardtop, upgraded entertainment system with Satellite TV, top-of-line appliances and designer fabrics along with beautifully finished cherry woods and high-end hardware. 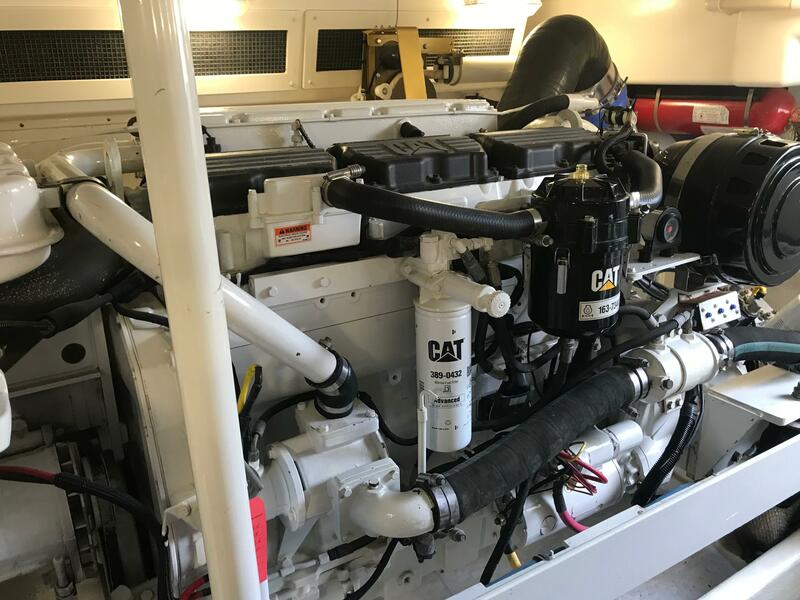 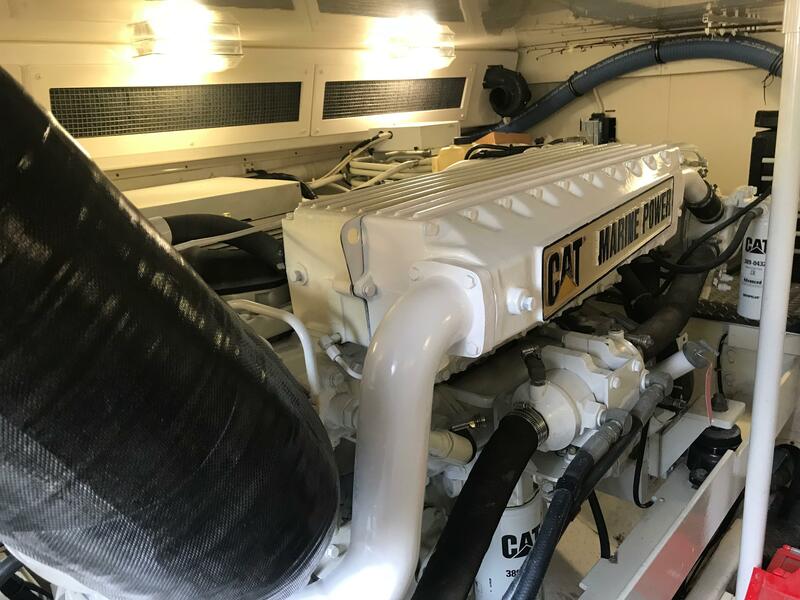 The preferred Caterpillar C-12 Diesels provide the propulsion power and are rated at 700 HP each. 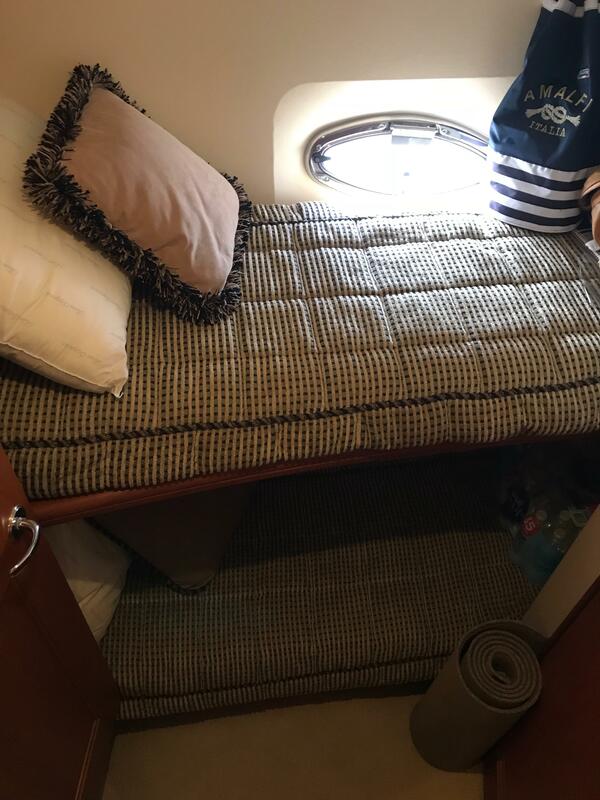 Comfortable overnight accommodations for 6 Guest in 3 Private Staterooms and 2 heads complete with separate shower stalls. 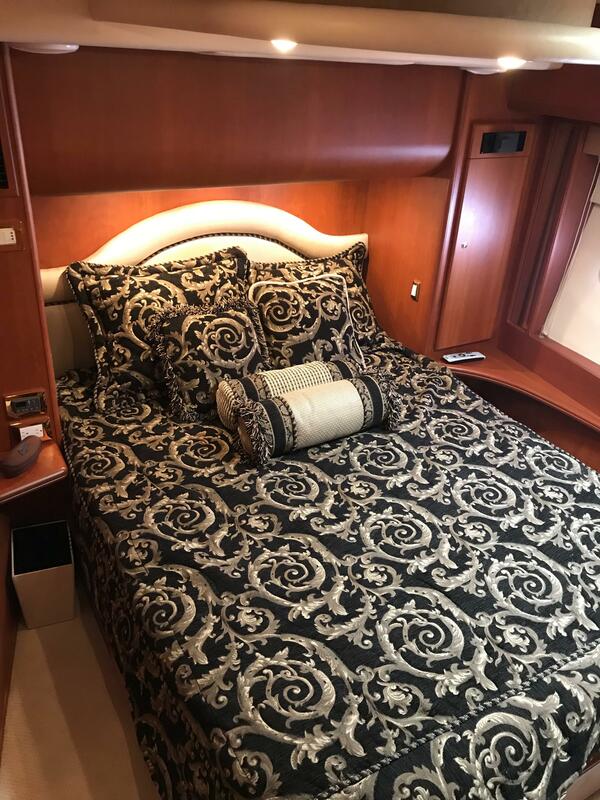 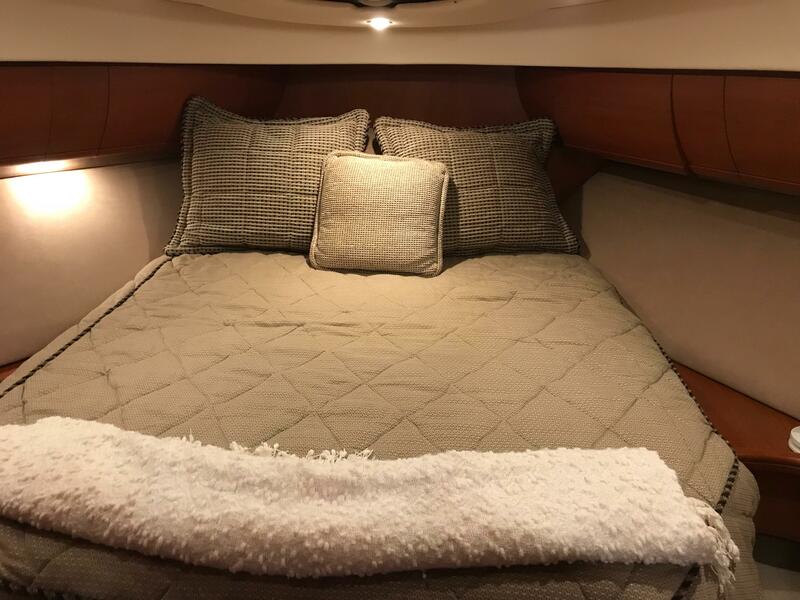 The Master Stateroom is midship and features an island queen berth, overhead drop down flatscreen TV, hanging lockers, reading lights, accent lighting and ensuite head. 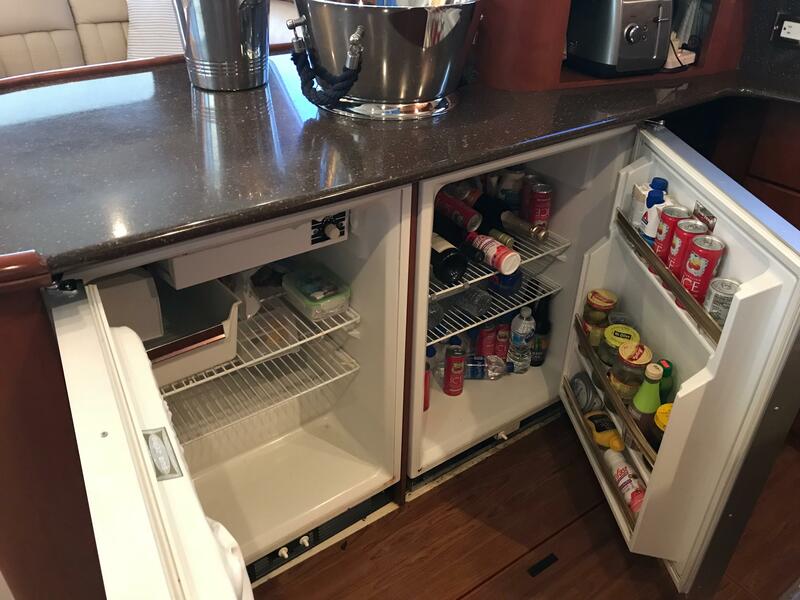 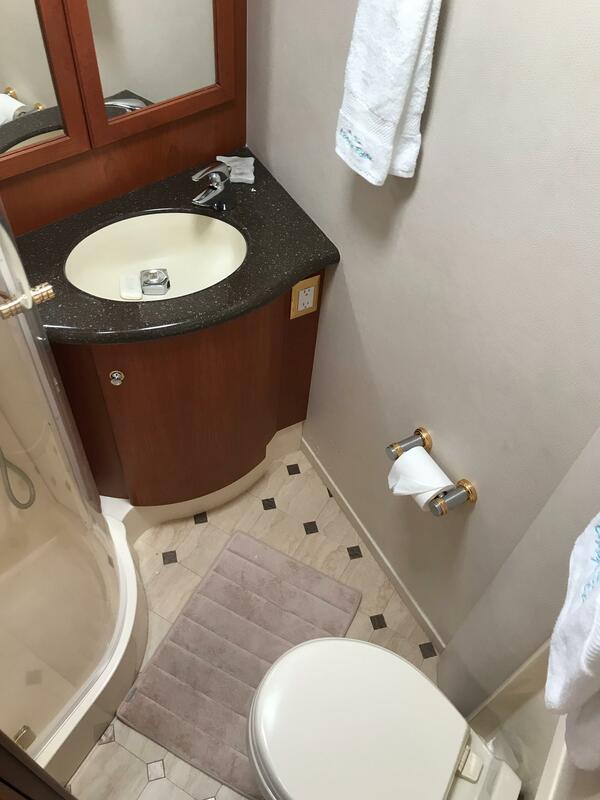 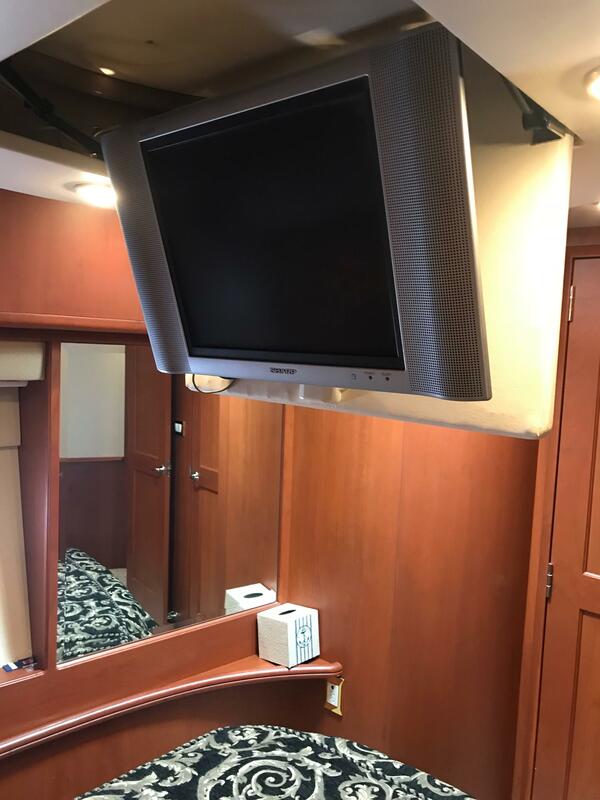 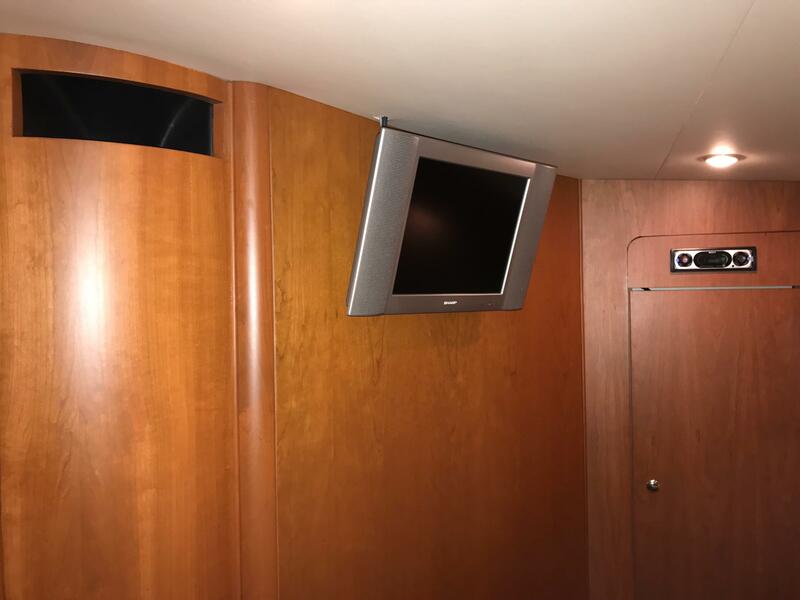 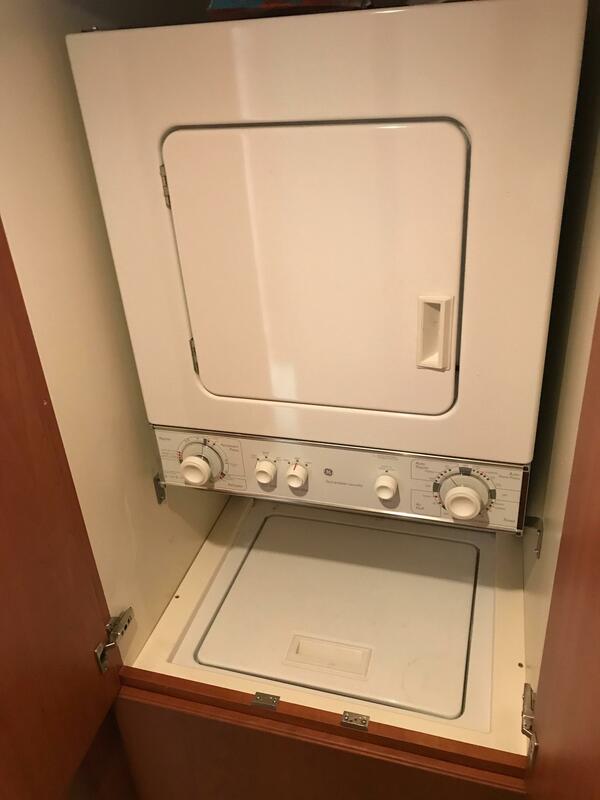 The VIP Stateroom is forward and also features an island queen berth, overhead hatch, hanging lockers, flatscreen TV with DVD player, reading lights, and ensuite head entry. 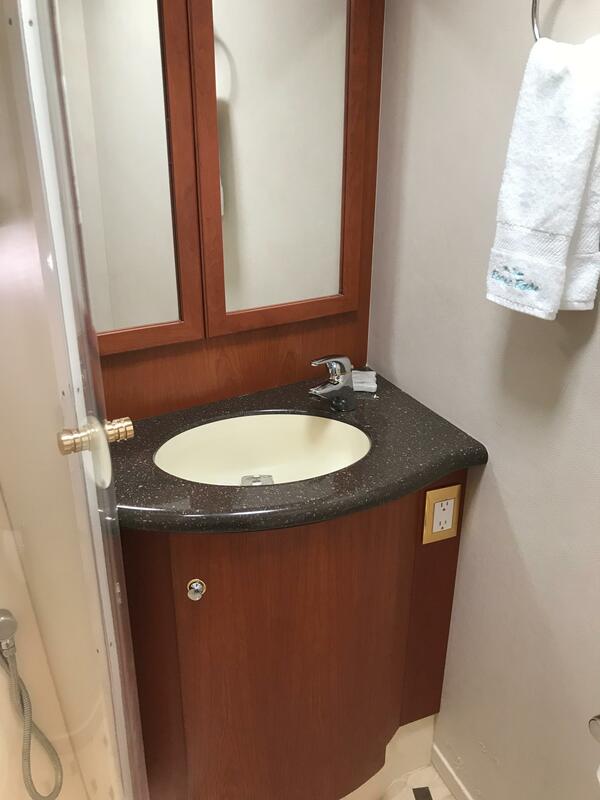 The 3rd Stateroom is a bunkhouse and features a hanging locker, port light, reading lights and privacy door. 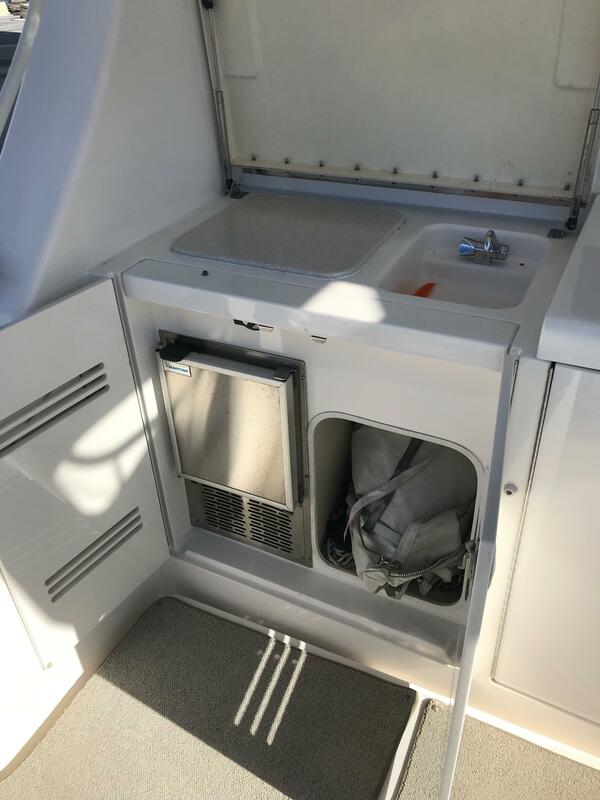 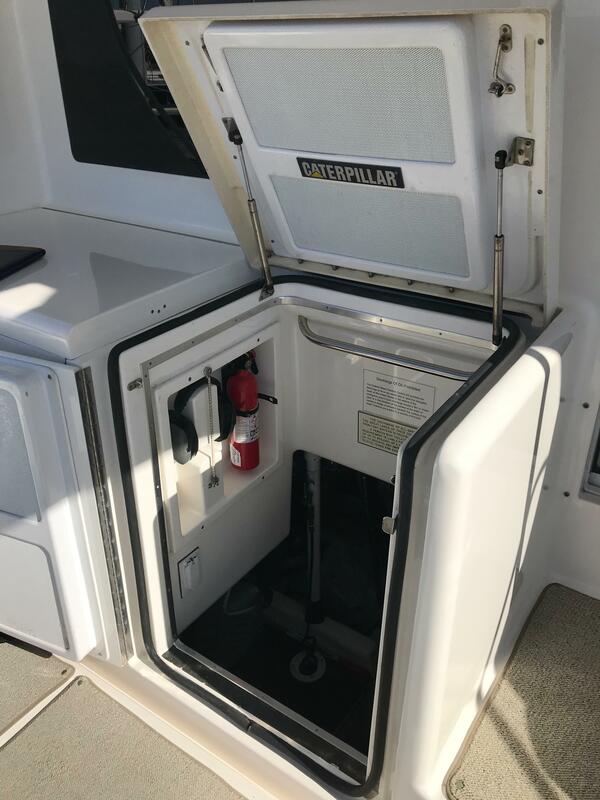 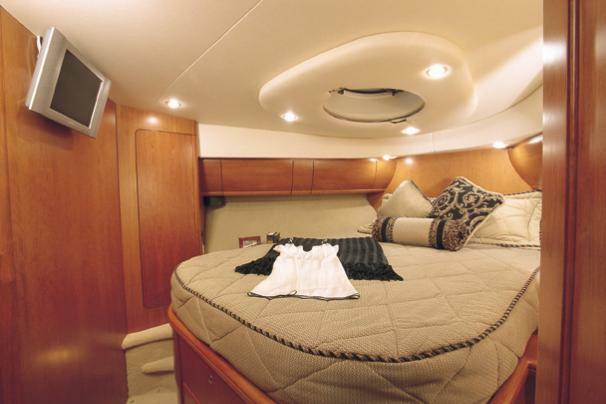 The VIP Head is complete with a "day" door to allow access from the companionway. 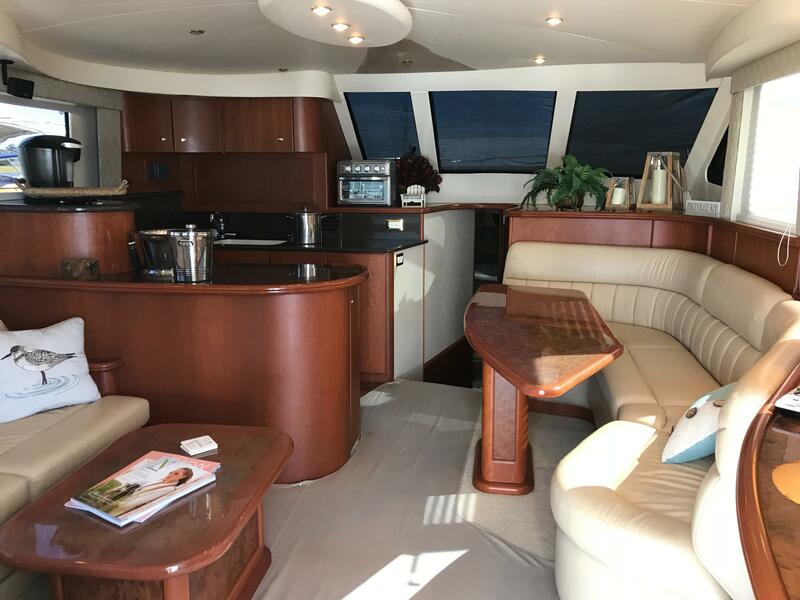 The Galley is U-Shaped and is located to port forward of the salon. 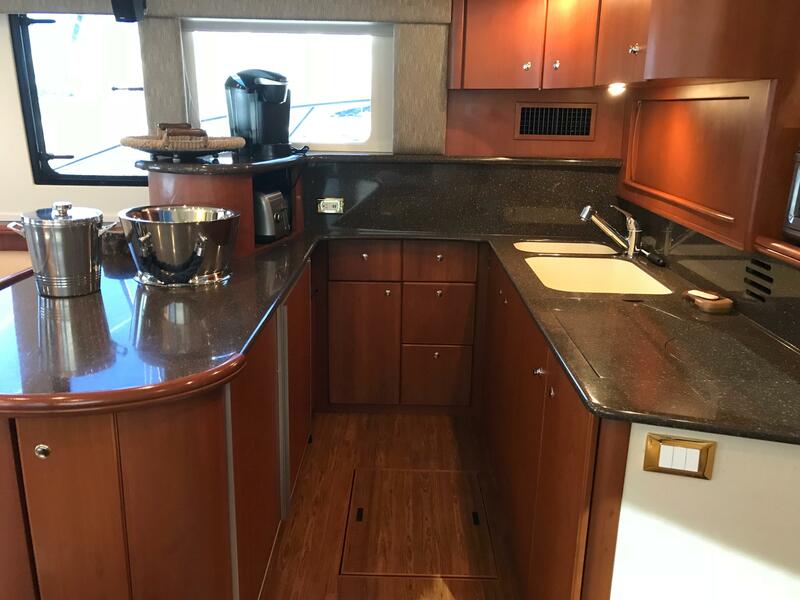 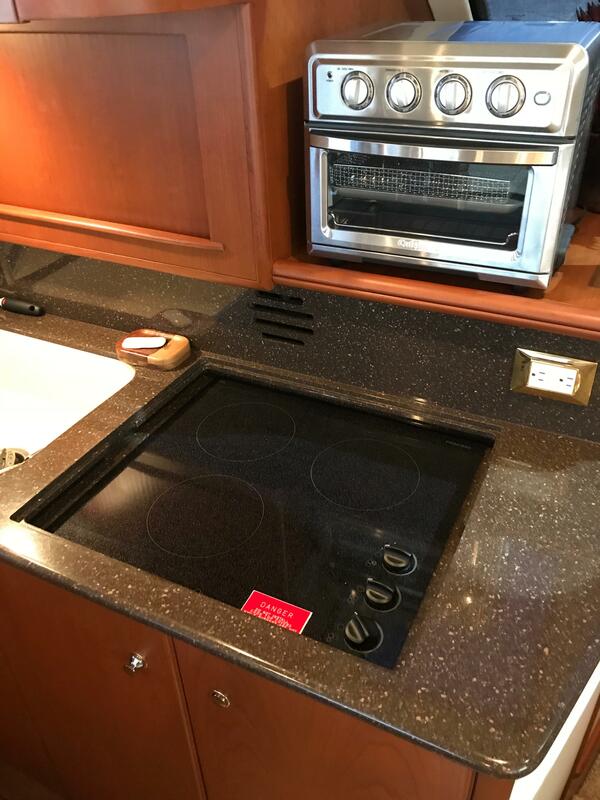 It features solid surface countertops, hardwood flooring, subzero refrigerator and freezer with ice maker, Princess 3 burner electric cooktop with corian lid, a trash compactor, Microwave Oven ample storage above and below counters, molded 2 hole sink and good overhead lighting. 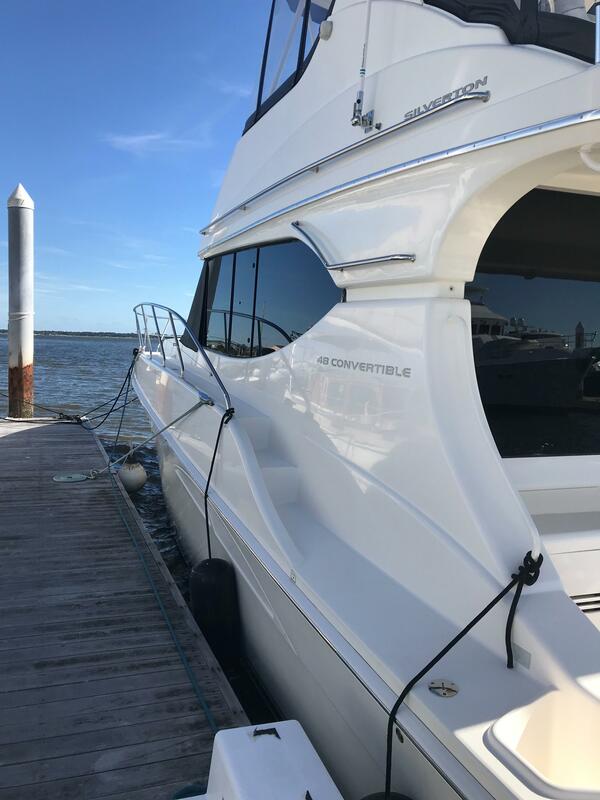 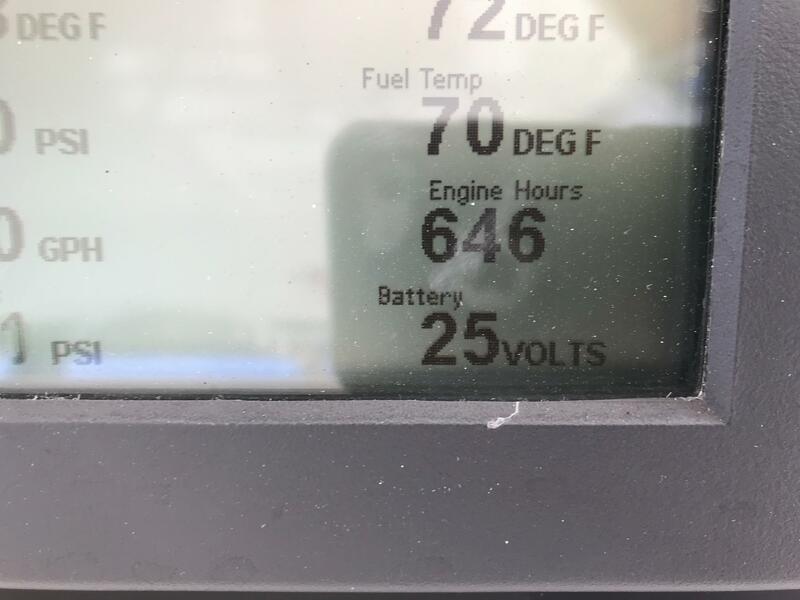 I helped the current owner buy this boat in September 2017 and it was considered "Above Average" by the pre-purchase surveyor. 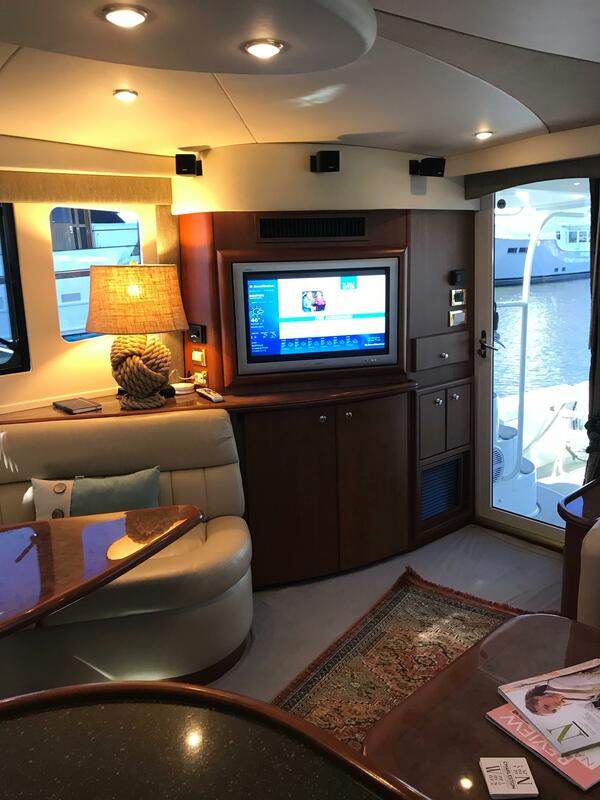 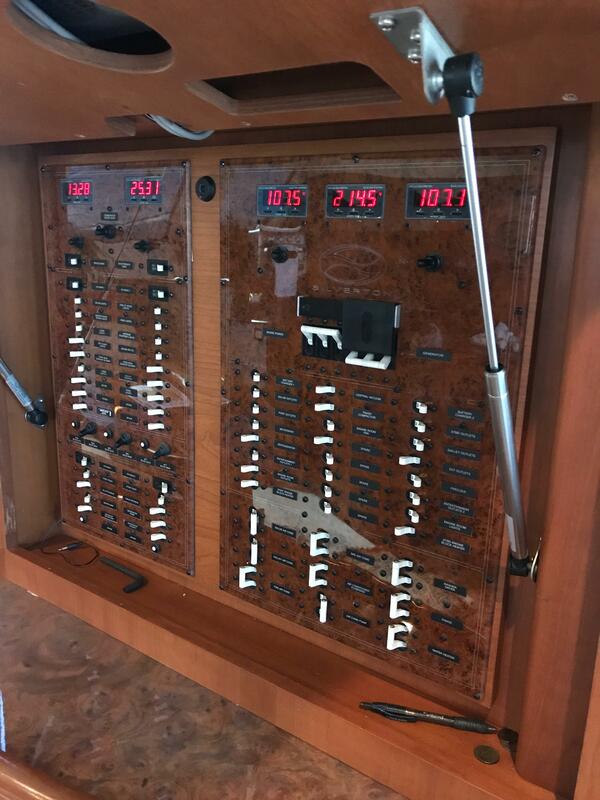 This owner has taken it to the "next level" by upgrading the electronics and maintaining it with an open checkbook. 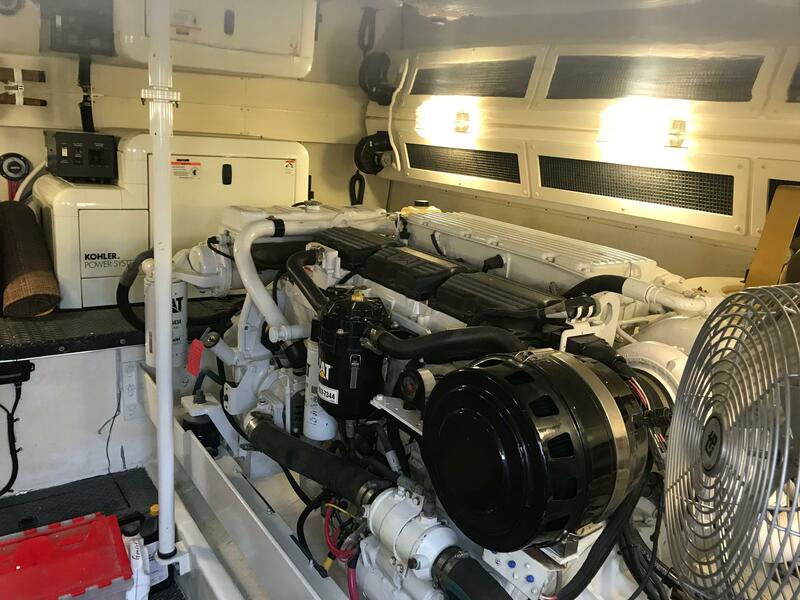 All engine maintenance has been done and the boat is ready to cruise. 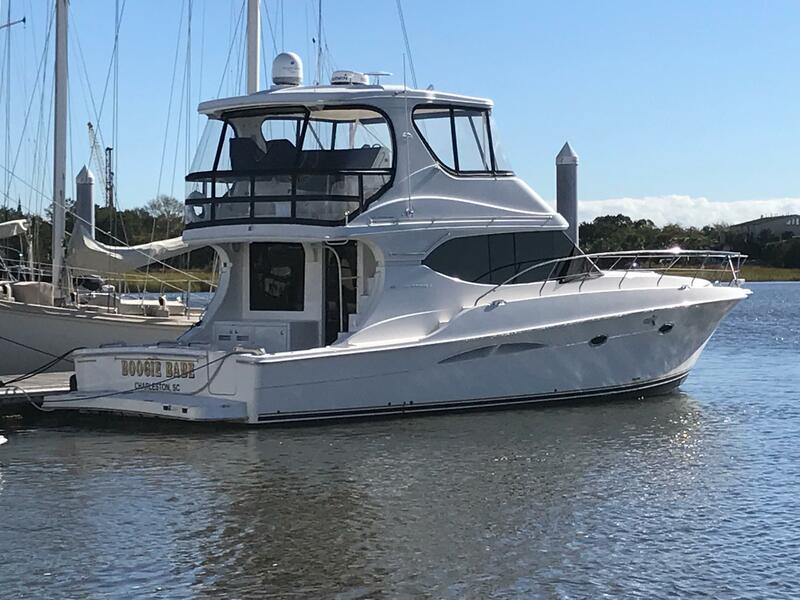 A trip this summer to Martha's Vineyard and back and he has discovered that his family needs a bigger boat. 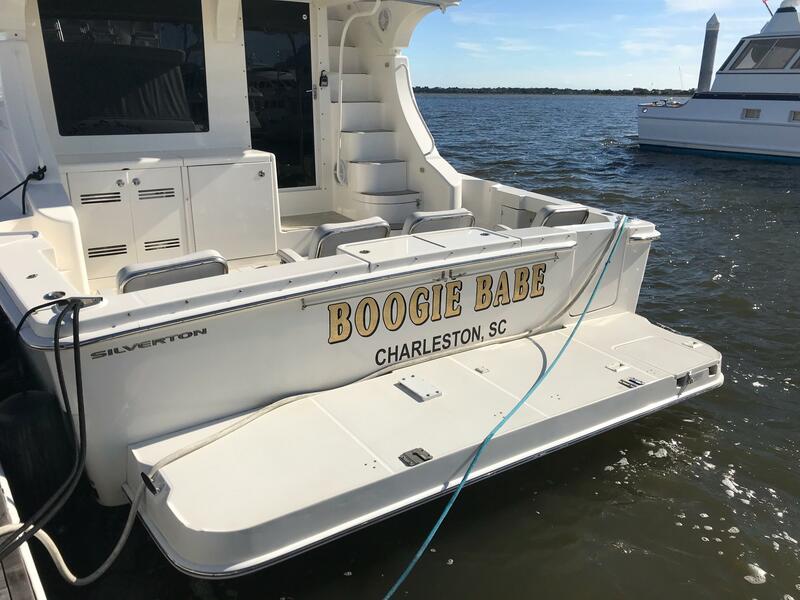 If you are in the market for that "SPECIAL" boat then this one is a must see. 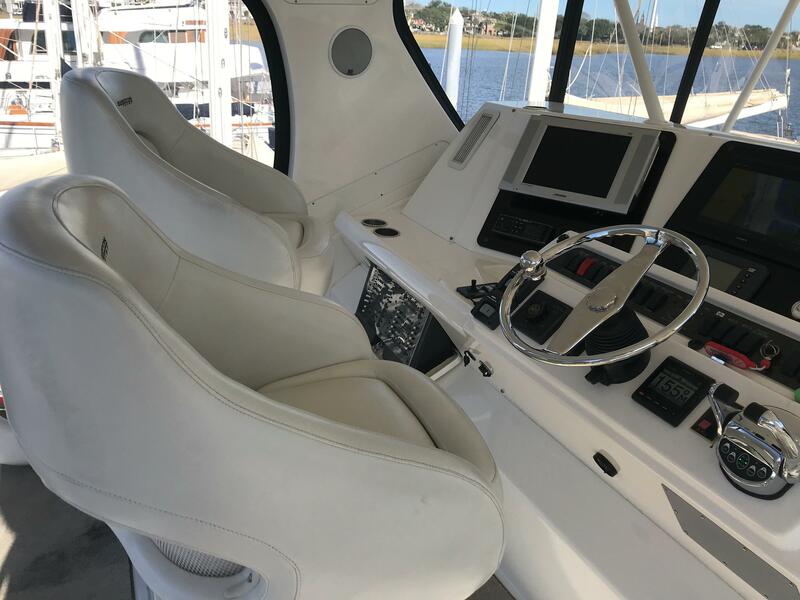 It is loaded with options and will make it's next owner a proud Yachtsman. 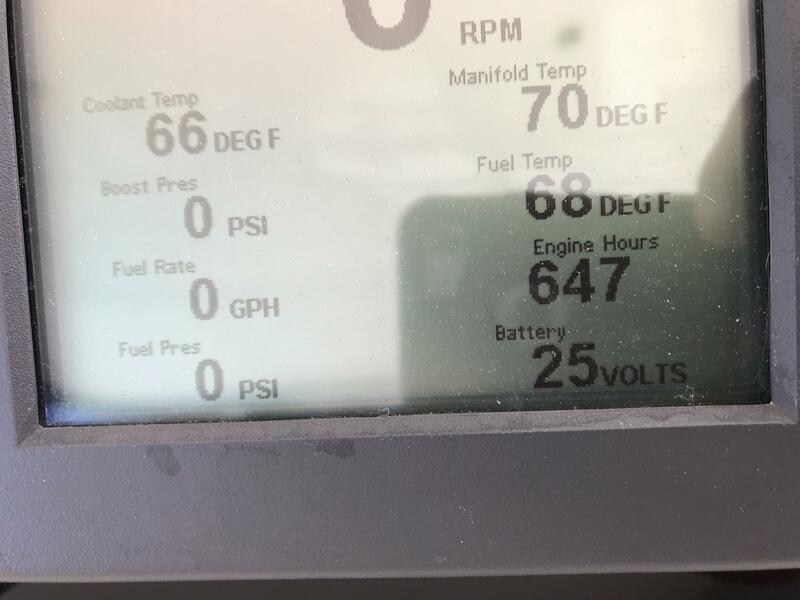 It had 400 hours when we bought it and still has only 650 hours. 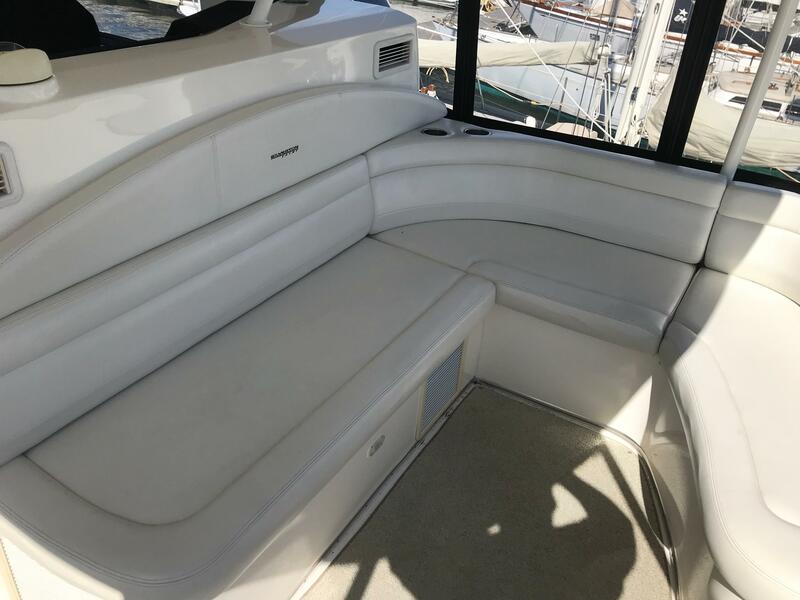 This model is considered by many to be the best boat Silverton ever built.....come take a look and you will see why!